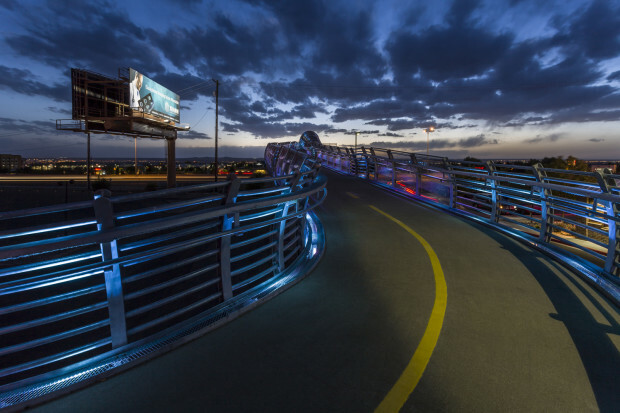 submitted by Linnaea Tillett Lighting Design Associates, Inc.
Tillett Lighting Design won a competition sponsored by City of Albuquerque Public Art Program to create light art for the Bear Canyon Arroyo Bicycle/Pedestrian Bridge. 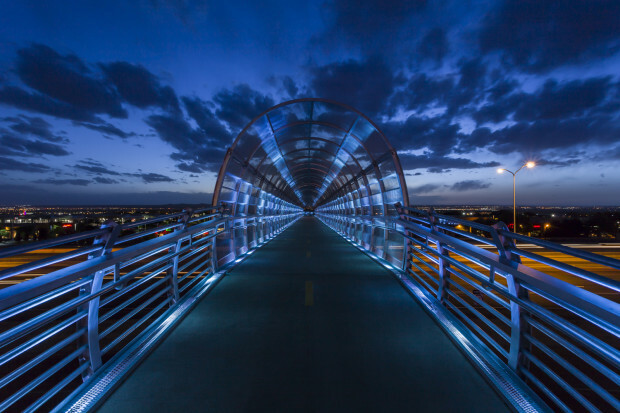 Spanning Interstate 25 in Albuquerque, the 12,400 SF bridge uses 450 LED lighting fixtures with custom handmade dichroic glass lenses to conjure “a dream of water and memory of sky.” At twilight, the overpass reflects a stream of blue sky suggestive of flowing water, alluding to the area’s arroyo. 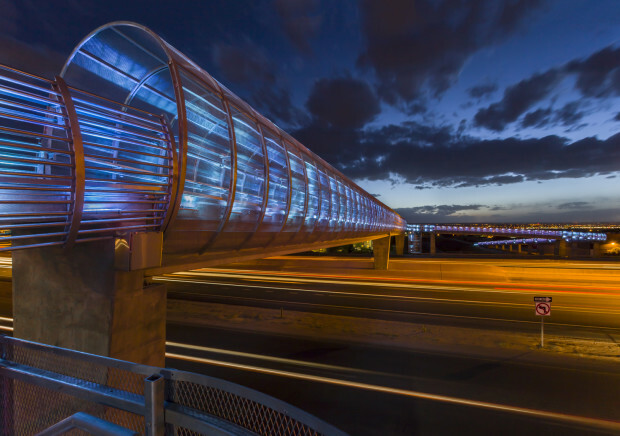 As darkness descends, the hidden qualities of the bridge’s lighting emerge, showing traces of purple, violet and pink that echo Albuquerque’s cinematically vibrant sunsets. The call for entries asked for “a lighting system and added art elements that will create a sense of place and significance as the bridge is viewed from passing automobiles, bridge-users and visitors to the area.” 450 LED lighting fixtures with custom handmade dichroic glass lenses conjure "a dream of water and memory of sky." 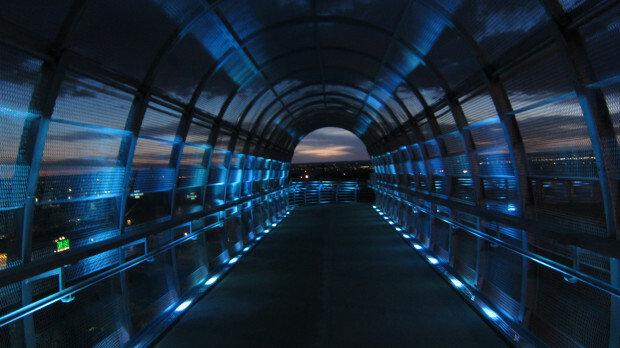 At twilight, the overpass reflects a stream of blue sky that is also suggestive of the water once flowing in the adjacent arroyo. 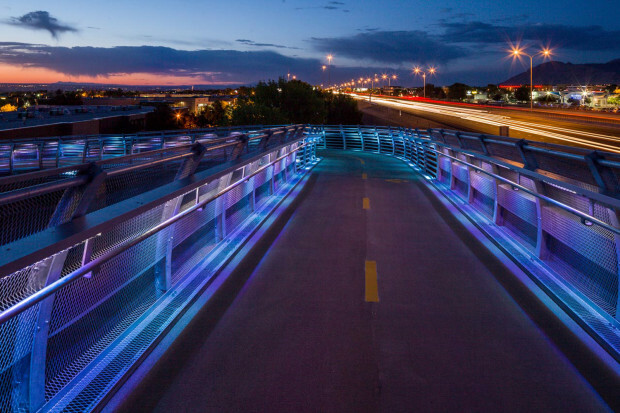 As darkness descends, the hidden qualities of the bridge's lighting emerge, showing traces of purple, violet and pink that echo Albuquerque's cinematically vibrant sunsets. The subtle flow of light creates a beacon seen from miles away. 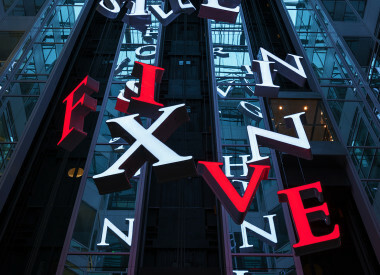 However, no light "leaks" into the sky above; rather uplighting rebounds off the underside of the roof onto the path. The galvanized metal mesh sides of the bridge shimmer and gleam in this most minimal of lighting schemes. 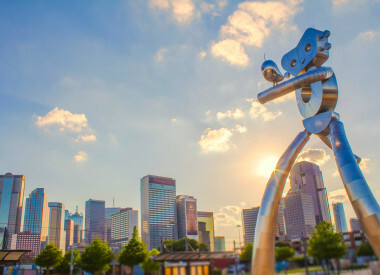 Tillett's design responded to the need to establish a unique presence that fits harmoniously in the natural environment and allows pedestrians and cyclists to feel safe and see their way across the span. 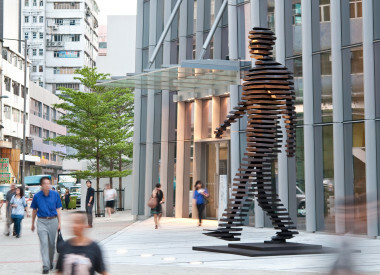 Linnaea Tillett and Senior Designer Charlie Brokate worked closely with local architect Geoffrey Adams, who designed the bridge simultaneously with the art program. 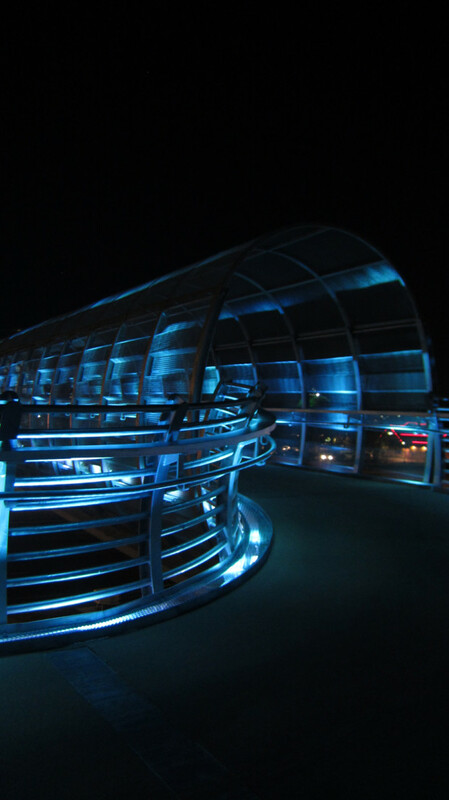 The bridge’s sides are manufactured of galvanized metal mesh, whose surface catches and amplifies the light, and enables it to change colors with the natural light of the sun. 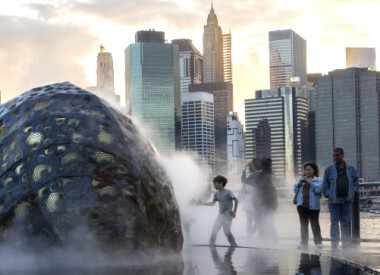 While Adams’ vision for the “diaphanous skin” of the bridge was to create a “geomorphic line of the horizon as it winds its way through the urban landscape,” the public art component was meant to complement and extend that effect into the night. 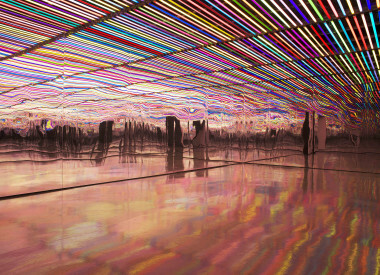 Four hundred and fifty LED lighting fixtures with unique custom dichroic glass lenses were handmade by the New York State-based studio Drama Lighting. 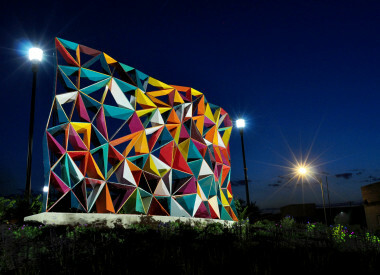 The color variations were built into the fixtures and not color-mixed by computer. In darkness there is a sense of water in motion.